Anyone interested in knowing more about their Vick ancestry is invited to join the association. Membership includes four newsletters a year and unlimited look-ups of names on our database. The Vick Family Newsletter includes histories of individual families and ancestors, lineages, documents, obituaries and notes and queries. Members are invited to contribute to the newsletter. Membership is $20.00 per year per family. 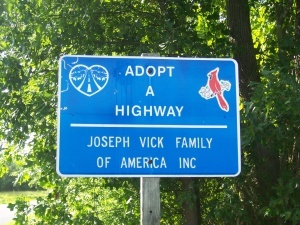 Simply complete the membership application by clicking here and send it and a check payable to Joseph Vick Family of America (checks CANNOT be deposited in any other name, the bank will not accept JVFOA). Then send the check via mail to the treasurer, Laura Wikey, at the address below. Be sure to put her name on the envelope since this is a personal address. She can be reached at wiki-wiki@sbcglobal.net or (408) 734-5015. Keep the information sheets for your use. Return the membership application to us. Your Genealogy information will be forwarded to Larry James Vick, our genealogist after your membership is recorded.